IDT is once again graciously extending their FREE custom DNA offer to iGEM teams, offering 20 kb of DNA as gBlocks® Gene Fragments and Alt-R® CRISPR Genome Editing products free of charge to each iGEM 2019 team! Cost is no longer a limiting factor in your research. With unprecedented access to DNA synthesis, you can now live in the future of synthetic biology; focusing on project design and characterization and not cost. iGEM 2019 Teams receive 20 kb of FREE custom DNA or Alt-R® CRISPR Genome Editing products from IDT! Hear the welcome message to iGEM teams from Adam Clore, Technical Director of Synthetic Biology at IDT. 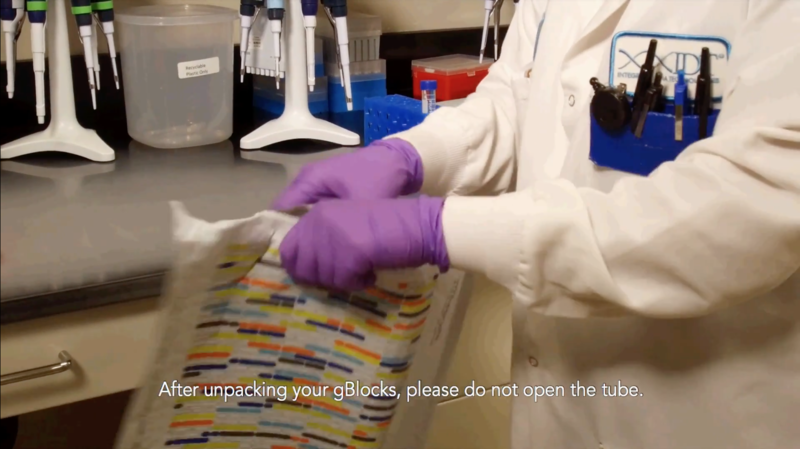 Ann Tigges shares the best practices for handling your gBlocks® Gene Fragments, including how to re-suspend, quantify and calculate copy number. If you have trouble accessing YouTube, view the video here. 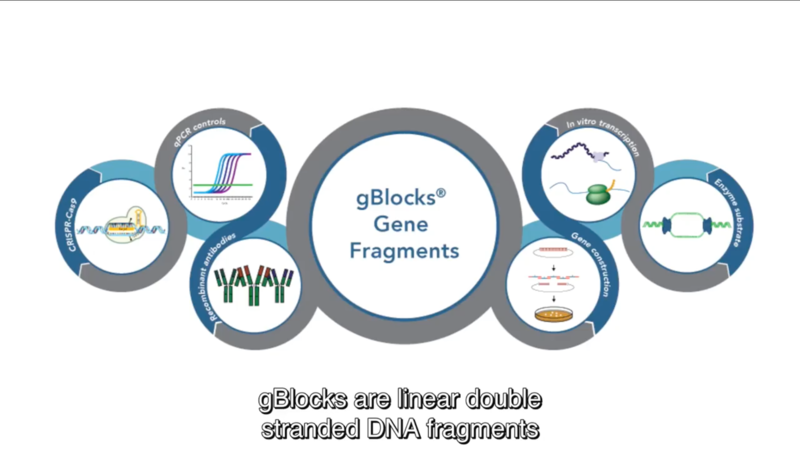 Dr Adam Clore discusses the history of gBlocks®, general information about ordering, and outlines what it's like to work with IDT for synthetic biology projects. 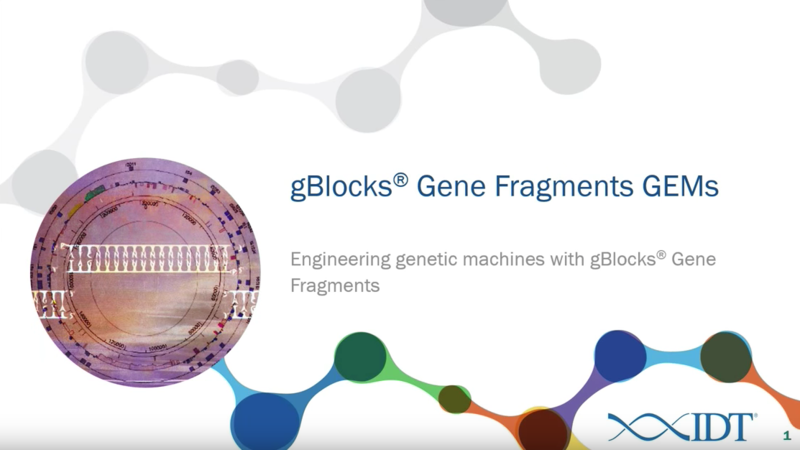 Dr Adam Clore discusses uses for gBlocks® Gene Fragments in the context of the 2015 iGEM competition.